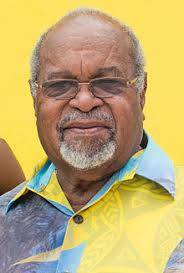 Former Prime Minister Sir Michael Somare today said the treatment of refugees on Manus Island by both the PNG and Australian Governments lacks human dignity and respect. the perilous journey to start new lives. I had raised this issue of inhumane treatment while in parliament and was accused of being party to the Australia/PNG plan to set up the Manus detention Centre. I want to make it clear that when I took office in 2002, there was already an arrangement in place on Manus Island for boat people who had fled their homeland destined for Australia. As the Prime Minister at the time I honoured the arrangement of the previous government but once the processing was completed, my government put a stop to this so called Pacific Solution. In my retirement I am at liberty today to speak about the miserable manner in which Australia is trying to offload the Manus Island Refugees. PNG courts found Australia’s Pacific Solution to be unconstitutional. Australia is party to the United Nations’ Convention on Refugees and opted for a ‘solution’ that has been unsatisfactory to Manus people, PNG and the refugees of Manus Detention Centre. but to treat human beings with complete apathy is ruthless and insensible. Descendants of many Australians who are opposed to boat people also arrived by boat before and after Federation in Australia. At the end of the day, these are human beings whatever their religion, gender or persuasions and they should be afforded basic human dignity and respect. To decide to throw out the detainees on the streets of Manus is unacceptable. Manus is a small island with few opportunities and obviously compared to Australia, PNG is a small developing economy. The onus is on Australia to ensure that the integration of the refugees into PNG is effected properly. I am sure that many of the refugees are skilled people and with the right assistance can adjust well into our communities. Australia cannot shirk that responsibility! Australia must provide support for refugees to integrate, and certainly has a large enough diplomatic presence in Port Moresby to provide adequate assistance.